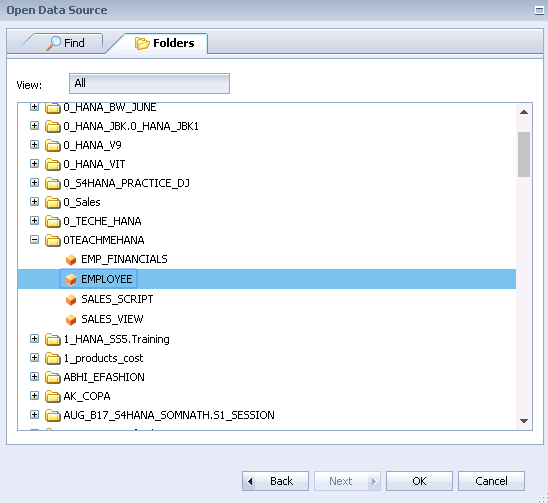 In our previous tutorial, we learnt about SAP Business Objects Analysis for Office. Now, we learn about another web based analysis tool called Business Objects “ Analysis for OLAP ”. It is another web based data discovery tool that doesn’t need any application or add on installed on the end user’s device. It just needs a web browser to be accessed from. 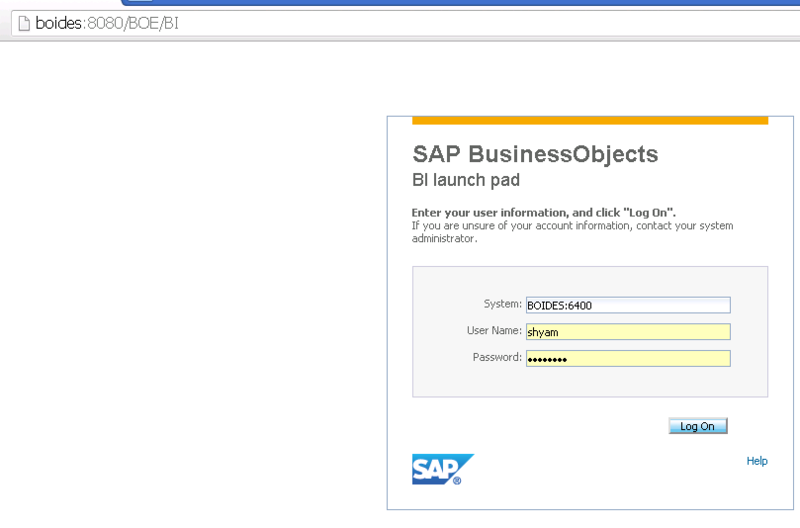 This BI launchpad is key to launching many web based reporting tools in Business Objects. It also houses the folders where we store these reports. The application we need – the Anaysis for OLAP also requires to be opened from this BI launchpad. Open this URL in your browser by providing the appropriate server and port. This would open up the page where you need to provide the Business Objects System details and your username and password. Your SAP Security team would ideally provide you with these details. The below view shows the BI Launchpad. 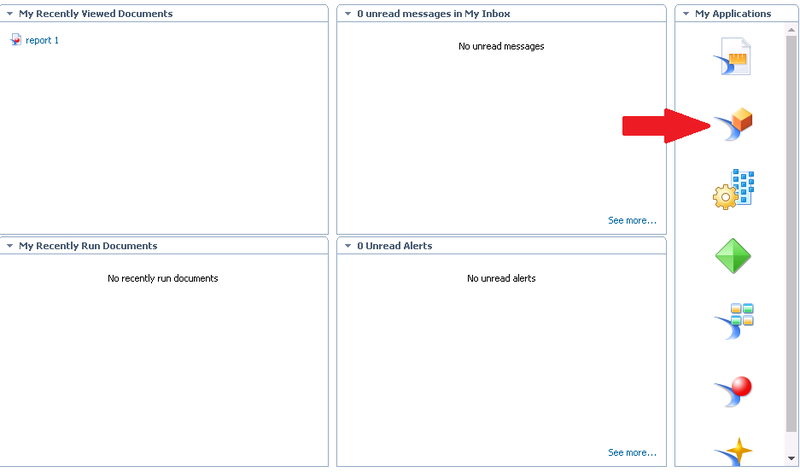 On the right side of your screen, you can view the applications that came be used in the web mode of this BI Launchpad. 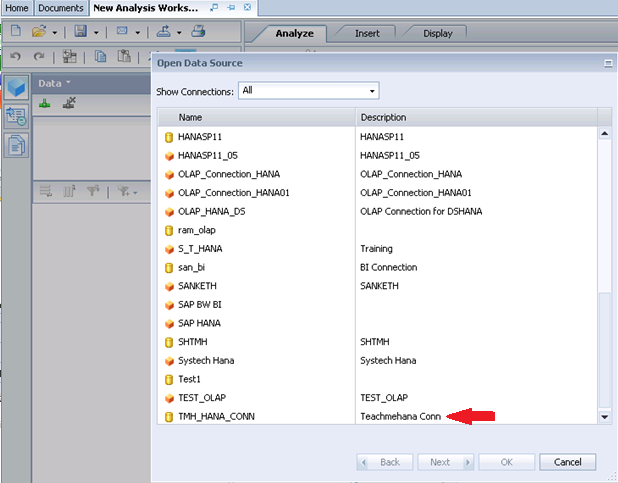 Our application, Analysis for OLAP, is marked by the red arrow as shown. Click on it to open. This brings up the “Open Data Source” window. We’ll switch to the “Folders” tab here. 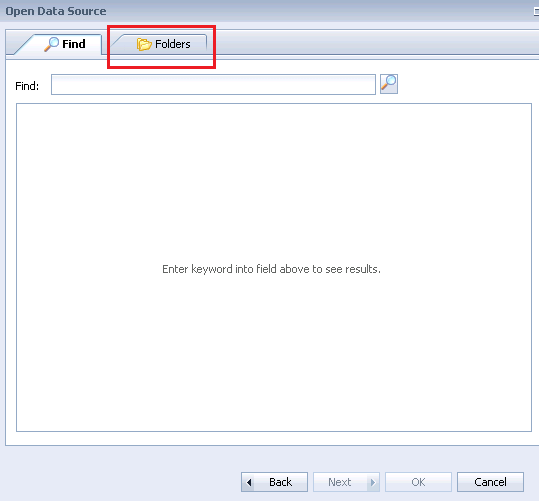 This now displays a list of your SAP HANA packages as folders. 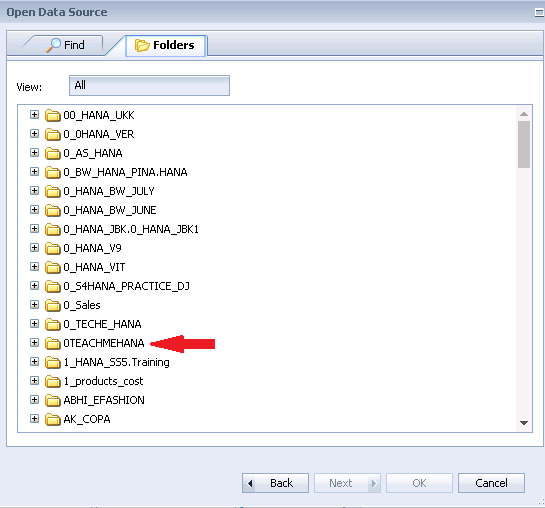 Expand your package folder to display all the SAP HANA views inside it. As seen below, all the views inside the 0TEACHMEHANA package are displayed. Select the view you wish to report on and press OK. In our example, we select the EMPLOYEE calculation view. Please read on on the next page to continue the tutorial.